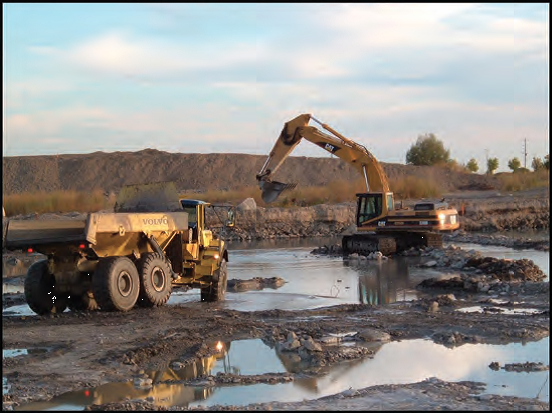 This 53 acre heavy industrial site cleanup project started in the summer of 2004 and was essentially completed by the fall of 2006. 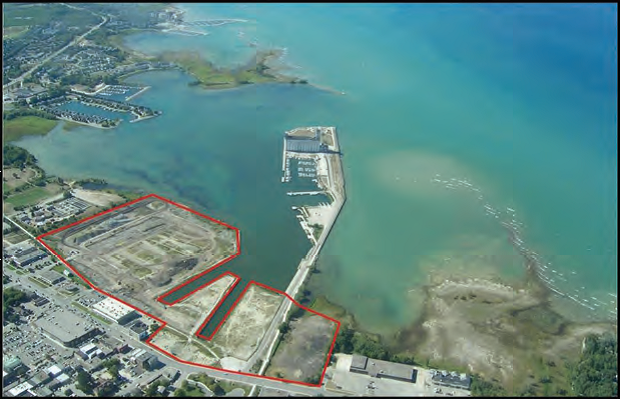 The RSC recognized the proximity of this site to Lake Huron and its classification as a “sensitive site” under Ontario Regulation 153/04. The cleanup activities included the excavation; sorting, monitoring and testing of over 300,000 m3 of earth fill materials. These fill materials had been impacted by former industrial activities and ranged from coal ash, cinders, wood, underground storage tanks etc. A plan was developed to minimize the material hauled off site and which allowed approx. 275,000 m3 to be placed in a berm on site and only 25,000 m3 to be hauled off site. As this work was carried out in downtown Collingwood dust, noise and odour were a serious concern to all stakeholders. Impacted soil was placed in a berm and capped with imported clay on a continuous basis. There were little if no complaints about our operations from local residents and officials at the Town of Collingwood were very pleased with our performance. 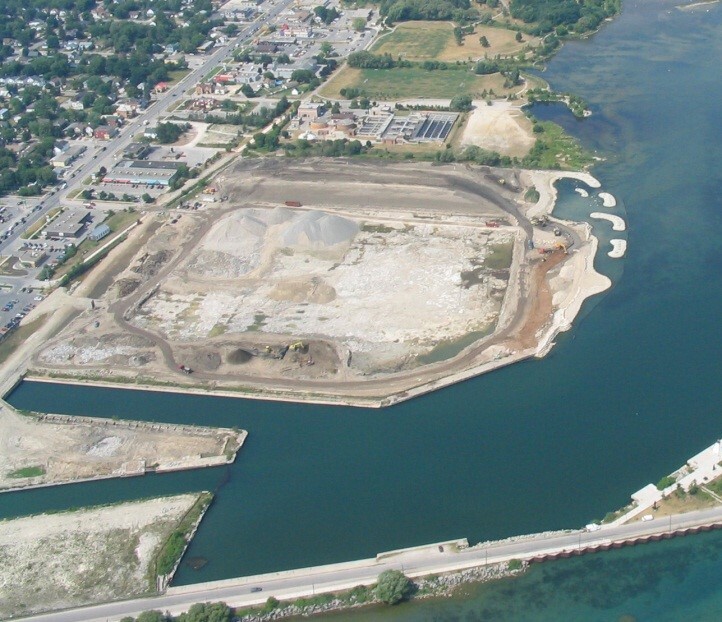 Because this project is located between a residential area and the shores of Georgian Bay it was highly sensitive and controlling the leachate and surface runoff was paramount. There were a number of methods used to control surface water during the reclamation process but the primary technique was the construction of a continuous impervious berm constructed from imported clay. Although we had performed a number of test pits in advance we really were not certain what we night encounter during a day of production. We worked closely and cautiously with Terraprobe Engineering while we sorted and tested and screened. If the westerly winds were blowing too strong off the bay toward the residents of Collingwood, then we altered our operations for the day and some days we simply had to shut down operations for a time.